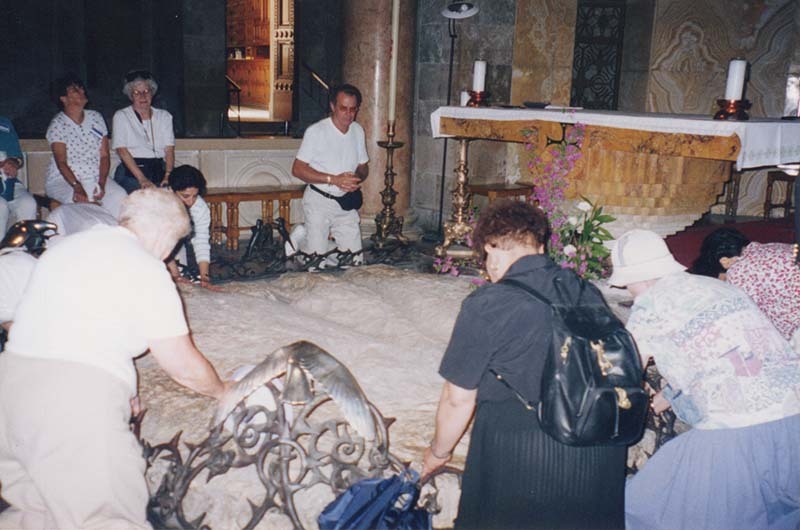 Inside the church is the rock upon which Jesus knelt as He prayed. My Father in Heaven! If only I could say the same thing to You when I don’t want to suffer from the persecutions and other difficulties that people cause me. “Not my will but Yours be done.” But I want to run from these trials. I assume that all suffering is bad and that it’s right for me to get rid of it ~ and I want to get rid of the people who cause me the sufferings. Lord Jesus, help me to be like You, and help me become willing to suffer the passion of loving others at the cost of laying down my own desires and my own comfort for their sake, for this is true love. And this is redemption. Jesus, You were made perfect through suffering (cf. Heb. 2:10), and so also will I be purified if I am willing to suffer out of love for others. Ouch! Amen!